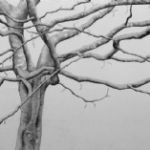 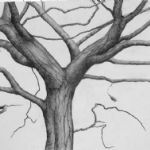 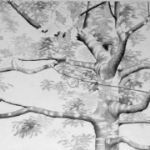 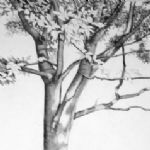 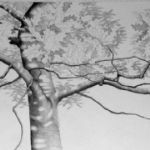 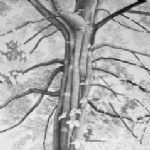 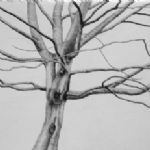 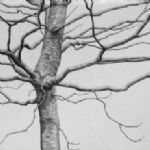 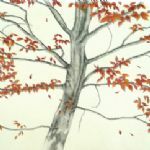 This exhibition consists of 40 tree drawings by Ali Morgan, ten from each season. 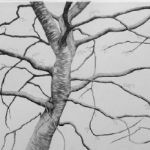 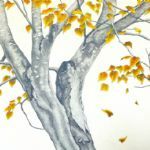 From late Winter/early Spring 2017 she has drawn continuously for an entire year in pencil and charcoal chronicling the seasonal changes, with colour appearing only in Autumn. 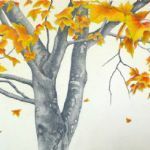 Ali Morgan had her first solo show at North House Gallery in 2008 while still a student, and impressed with the quality and originality of her painting. 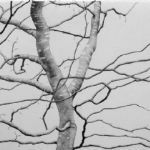 After graduation, inspired by the sea, she moved to Cornwall for a few years then back to the East Anglian coast, where she continued in the same tradition of immaculate paintings of distressed boats. 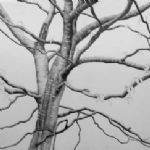 Last year she moved to a landlocked area of Suffolk and found herself surrounded by trees. 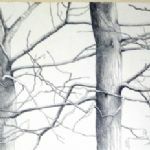 She was encouraged by a local drawing group to venture into the woods, particularly the nearby arboretum, Golden Wood, a community wood near Lawshall, which celebrates its 25th anniversary in 2018. 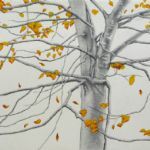 Ali Morgan has exhibited in 25 shows in Essex, Hampshire and Cornwall and has fulfilled numerous corporate and private commissions.